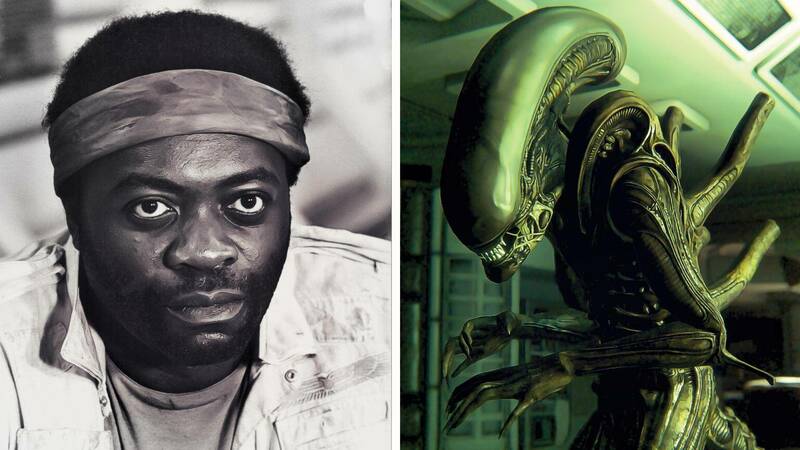 Yaphet Kotto believes in aliens. The statement would be easy enough to take in on its own if not for the fact that Mr. Kotto also believes he’s seen an alien, held an alien, and generally accepts that he’s been abducted by aliens. I had to wonder what Goldhar was thinking to himself when he had to relay this information to me. This was an immensely talented, multi-award winning, Emmy-nominated icon. I can call him that because he paved the way for future African American sci-fi roles in Alien, and he’s been a Bond villain as Kananga in Live and Let Die—an exclusive privilege on its own. His actor credits list is 95 strong, so his reputation is intact. But despite all that, this showbiz legend wanted to speak about his lifelong association with aliens. While it would’ve been easy for me to dismiss the request as a strive for attention or simple delusion, the infinite examples of people claiming to have been abducted are out there. Yes, the irony of a legend from Alien talking about real life aliens sat with me, but I listened. Here are bits of that unfiltered, hour-long exchange that made me question whether Yaphet Kotto was telling me an amazing truth or something entirely imaginary. VICE: Well I guess we can get right down to it. I’ve been following you a while and this is the first time in ages that I’ve seen you do an interview, and therefore, heard about this alien stuff. Yaphet Kotto: Well I don’t normally don’t do interviews as you already know. There have been five or six people who’ve tried to speak to me and I’ve refused. But this was important to me. When my publicist said some journalist was willing to talk about this, it compelled me to come out with it. It has been 50 years of me dealing with these UFOs and aliens. It started when I was about nine or ten years old. I remember being told I couldn’t go outside, so I was looking out at the streets of Bronx New York watching the kids play stickball in a kneeling position. When I turned around, a figure was behind me, it was at least five or six feet tall with an elongated head. It appeared, then jumped to the back of me and disappeared. From that moment on, it was one experience after another which culminated into my sighting in the Philippines and during the filming of Alien. Yeah. At one point, I remember being at my home at 6 PM, and I went into my office to meditate in the garage and I saw something. Looked at it for about five minutes, and it was light. I was wondering why the neighbours were shining a light through the top of my garage window. So I went to talk to them. Now keep in mind, I had been sitting in that car garage for some 12 hours and I believed that I contributed to those things that were flying above my garage…I shouldn’t call them things. These aircrafts. As I got older, I understood what they were. But I went through my youth not knowing what I was experiencing and I didn’t talk about it. I would just experience something and file it away, until something larger happened. This is the thing other UFO witnesses don’t talk about. Every time I moved into a house, above it at some point, there would be a circle of what looked like smoke. I’d wonder where it came from because it sure as hell didn’t look like clouds. Those sightings continued for a good ten to 15 years. And I’ve had time loss. Where was I for the hours between when I saw some of these. Was I taken? Because I have a big loss of time between some of these moments. It was one evening in my office in the Philippines. I heard my wife and the waiters calling me to come outside in very anxious voices. So I went out and when I got there, I saw the same huge circle of smoke over the house. When I asked them what they saw, they said they saw a UFO as big as the Yankee Stadium turned upside down and they were freaking out. Two or three nights later, I saw it. The thing blotted out the entire sky. The moon and everything, it was huge. I just remember saying, Jesus Christ. I mean I got nervous man because you don’t see something like that without being vulnerable to becoming psychologically blown away. You get scared to put it quite frankly. That messed me up for a good three or four days. [Laughs] Absolutely not. I have an IQ of 196. Might as well say that the hundreds of other people—including Canada’s previous defence minister—who came to the same conclusions about alien life had mental health issues too. You know, people are probably going to read this though and think you’re delusional or after something. What do you have to say to all that? There’s no reason for me to make these claims. I never promoted any book or anything like that. I never read anyone talking about the experiences I’ve had. I’ve made 75 movies and I’ve done television shows. I’m known all over the world so this confession wouldn’t advance me, I advance myself through my acting. Other people may do this to try to advance themselves, make it public and then become famous. I’m already famous so what possible purpose would I have to tell these stories except how it relates to the movie Alien? This is the reason why I never talked about it after that movie because of course they’d say, “oooh, he’s trying to promote his movie.” Well I’m not promoting anything now. I’ve written no book and I have no movie that’s about to be released. This is the time to reveal this because no one can connect it to anything that’s a financial gain or form of media exposure. When someone now asks me if I ever experienced anything that’s remotely close to an alien, I’ll say “damn right I did.” It happened at nine years old and continued since then. So I really don’t care whether anyone thinks I’m delusional. My delusion is over. I’ve taken a position on that. Seeing a UFO is so unlikely that many relegate sightings to hoaxes. Why do you think you’ve been made special in this? I don’t know, but I’m getting to believe I’m special, because I’ve seen those things many times…not those things. I don’t want to insult them. I mean we’ve had them follow us around. Showing up in places where I am. At one point, I was getting ready to run with my assistant in the morning around Manila in the Philippines. Got up, went outside and we hadn’t gone very far when one of those aircrafts showed up and my assistant freaked out and said, “look at that!” and I said yeah and kept it moving. It followed us around and she ended up telling all her friends. The next morning, we get ready to go out. I mentally sat down and began to disbelieve it and thought, if two show up, I’ll believe. So we went out and sure enough, two of them showed up and the next day, it was three that showed up as if by request. I always felt like I had a connection with them, it all related to seeing that alien at nine years old when it jumped to the back of me because it was startled because I had caught it. I went to a psychiatrist to ask what the hell I saw, even a spirit healer who thought my family was into voodoo. For years after, I was scared to turn off the lights in the bedroom. On my mother’s part, she even took me to a faith healer to say prayers and all this kinda stuff, and after that I never saw it again. Because my experiences had nothing to do with the movie Alien. It was the amazing script that was only 72 pages that brought me to that. Now I’ll admit, there were things that I alone was finding on the set of Alien—the spaceship. That mechanism that Sigourney Weaver throws to put the Sulaco (fictional spacecraft) on automatic destruct. There were symbols there. Symbols that had nothing to do with the ship in the film and I kept finding these symbols. They were like Egyption symbols and I started trying to decipher them, which I was able to do. Regardless of all that, the Alien script was one of the most well written scripts in the history of scripts, and I’ve read a lot of them. It gave me an opportunity no other African American actor had been given, and it opened doors for brothas to be in adventure space movies. Up until that time, they weren’t in the business unless they were in churches or singing amen. When we went into the room to shoot the scene, the whole atmosphere of the movie was gone, because the crew was wearing white goggles and plastic masks to protect themselves. It was like walking into an operating room. They never warned us about the scene. So when we shot it, and the damn thing came blasting out of the actor’s chest, that freaked everyone out and sent us into a trauma. All of us. That simply brought me back to everything that I had experienced up until that point as it related to aliens and UFOs. I became a ufologist at that point. When you go through this thing with real life aliens, you go through psychological changes. You begin to to wonder whether or not you’re being followed. I never talked to about it man, this is the first time. I’ve only told my wife, my rabbi, and a psychologist. This is the first time I’m talking about it and I don’t know why. I just decided I was going to do it this year. I’ve gotten to a place where I can no longer hold them privately. They aren’t going to go away and I honestly believe these species are close to making themselves known in this century, to this generation. I believe their purpose is to make sure we don’t kill ourselves. We’re losing our rivers, lakes, mountains and our caps are melting. We need to take a serious look at what we’re doing and they’re going to help us do that. I was just pissed off. When I did Blue Collar with Richard Pryor on my black shirt is the spiritual eye, this circle with a large dot in the middle and a white star in the centre of it. It represents the spiritual eye that Yogananda talked about that you can see if you’re meditating and look upward. Now I don’t know why Ridley did this, but when that alien’s mouth came open, it was headed right for my forehead which is where the spiritual eye is supposed to be located. So when I saw the dummy version of my head where the craftsmen were, I said, “why is this thing going towards the spiritual eye man?” The spot where our indian brothers and sisters have their red dots. Well that’s where it was headed. Why couldn’t it have gone into my chest or neck? That just pissed me off. The former Canadian Defence minister Paul Hellyer, came out the other day and said America is playing around. He’s got some video tapes out there talking about a number of species that come here, and he puts America down for not admitting the fact that aliens are a reality. That gave me a lot of comfort. Here was a man of importance that wouldn’t make up stories or have anything to gain by saying what he said. We’re not alone, we’re not alone in the universe. If you totally westernize the idea look at it from a supremacy viewpoint, then you’ll say, everyone’s imagining them when it comes to these things. We can say that, but much of the world would reject that premise. We’re not alone.